Deciding on your wedding song can be tough and stressful. Here are our top five choices to make life a little easier for you. If you are aiming for something a little more traditional and old school, then Elvis Presley's 'Can't Help Falling In Love' is the track for you. If you want to be a little unconventional, why not try The Verve's 'Bitter Sweet Symphony'. It's more about changing your ways but hey, you're starting a new life so why not go with it? If you want something to get the crowd going and for you and your partner to bust a move to, try Bruno Mars' 'Marry You'. 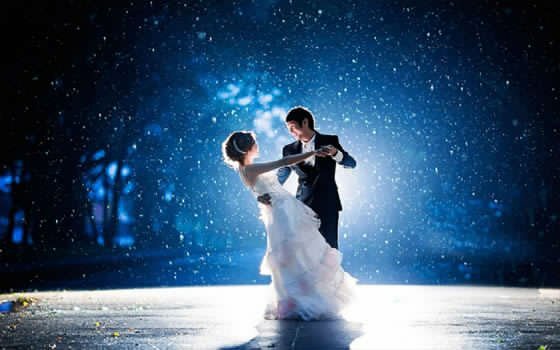 If the emotional first dance is what you are looking for and want the perfect song to fit with the perfect first dance, we definitely suggest Ed Sheeran's 'Thinking Out Loud'. You can even use the music video for dance routine inspiration.